When you or your loved one receives a GBM diagnosis, you may feel overwhelmed with information. In addition to what your healthcare team may have shared, you may be doing research yourself, and friends and family may send you things they've read. It may be a lot to take in. But when you're ready, it's important to get organized and take the time to talk to your doctor and learn as much as you can about what treatments may work for you, including Optune. Here are some topics that other GBM patients and their caregivers found important when learning more about Optune. 1. How would Optune fit into my treatment plan? If you have newly diagnosed GBM, Optune would be used together with chemotherapy* after you have had surgery and radiation with chemotherapy. If you have recurrent GBM and continued treatment with radiation or chemotherapy is not an option, Optune is used alone. * Temozolomide (TMZ), also known as Temodar®. 2. How would I get Optune? After talking through your treatment plan, your doctor will prescribe Optune. It's important to note that your doctor must be certified to prescribe Optune. If your doctor is not certified, he or she may refer you to another doctor who is certified. 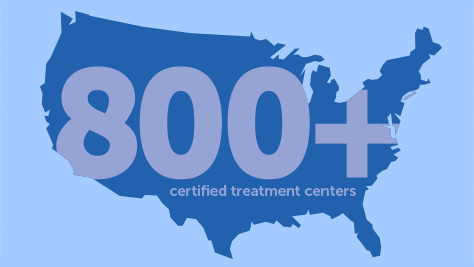 There are more than 700 certified treatment centers in the United States. Visit Find an Optune doctor to locate one near you. From your first question about Optune and throughout treatment, the nCompass™ team provides customized support based on your needs. 3. What kind of support does Novocure offer? Learn more about patient and caregiver support here. 4. How will Optune fit into my daily life? Continuous treatment with Optune can be received almost anywhere. If your doctor says it's okay, you can use Optune while you go about your daily routine at work, while traveling, and at social functions. In order for Optune to work properly, you will need to keep your head shaved while using Optune. However, loose-knit head coverings, including hats, caps, beanies, wraps, or wigs can all be worn over the arrays.